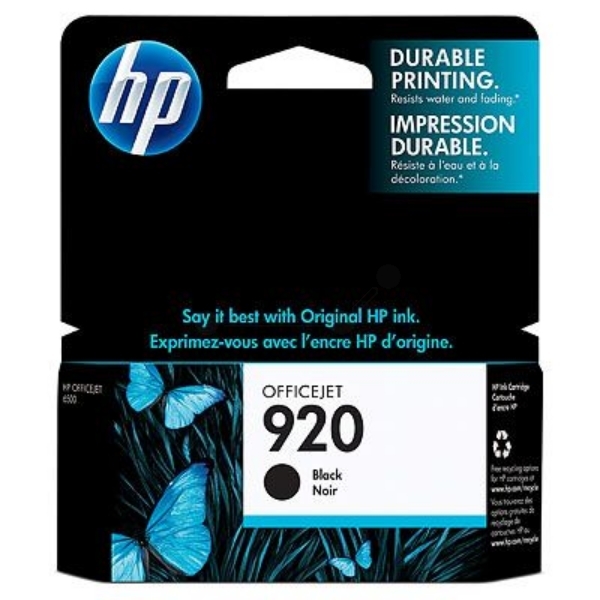 HP 920 Black Officejet Ink Cartridges print laser-quality black text, using HP Officejet inks. Print professional, plain paper documents, using pigment ink designed for the office. - Print superior laser-quality documents with sharp black text that resists water and fading, using HP Officejet inks. Individual ink cartridges help you print affordably. - Deliver impressive printing results. These Original HP Officejet inks are formulated to produce fast-drying documents, especially when you use papers with the ColorLok logo. HP technology makes it easy to replace cartridges. Call or email us for enquiries.